Six Wives with Lucy Worsley, which airs tonight at 9p on BBC1, has landed a January 22, 2017 at 9p premiere on PBS in America. 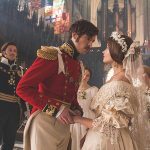 Airing under the title of Secrets of the Six Wives, the series will run over the course of three weeks at 10pET/9pCT following the long-awaited Masterpiece presentation of Victoria starring Jenna Coleman, Tom Hughes, Peter Firth and Rufus Sewell. 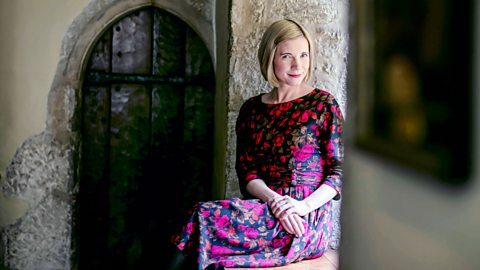 For the Six Wives series, historian Lucy Worsley will time travel back to the Tudor Court to witness some of the most dramatic moments in the lives of Henry VIII’s six wives. Worsley will take viewers on what is a very ambitious and groundbreaking approach to combining drama and history with her usual contemporary (and very witty) commentary as she moves seamlessly from the present to the past, appearing as a range of silent servants: a maid, a midwife, a nursemaid. Wolf Hall or The Tudors it is not. 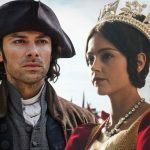 The Tudor story is all-too-familiar given the endless array of television series that have dealt with the Tudor era over the years. 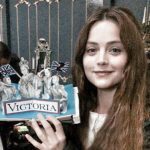 Most people are well-aware that the Tudor court was made up of a small group of powerful families all vying for influence and power over each other. But, while it was a world run by men and the King had ultimate power, each Queen found their own unique methods of exerting influence. It is these women’s stories that Lucy wants to uncover, witness and explore, as well as offering a very new lens on Henry himself. In her own quirky way, Lucy will be exploring the truth of Henry VIII’s private relationships with his six wives. 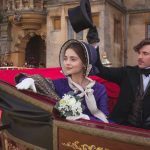 Six Wives with Lucy Worsley has all the drama of Downton Abbey and the great thing about this series is that, like Victoria, the drama is all true! Six Wives with Lucy Worsley airs tonight at 9p on BBC1 and will premiere Sunday, January 22, 2017 at 10pET/9pCT on PBS. I watched this show in the US with a friend from the UK. He insists that the UK showing did not include information regarding his illegitimate child & some other “slightly sordid” details. Is my friends memory off or is he correct about this?